Several new, or merely new-to-us, natural history books arrived in this house a couple of months ago – mostly around December 25, actually – and I’ve been meaning to write about them ever since. Here are those which focus on plants. Text by Stanley Breeden, illustrations by William T. Cooper. As The Australian Rainforest Foundation website notes, Queensland’s Wet Tropics region contains the oldest continually surviving tropical rainforest on earth and is one of the world’s biodiversity hotspots, 12 of the world’s 19 ancient flowering plant families being found here. 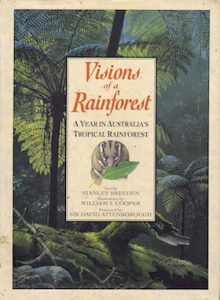 Naturalist Stanley Breeden settled on the edge of the rainforest near Malanda in the early 1990s and this book, in the form of a sumptuously produced diary, documents his discovery of its plants and animals. This is a gorgeous book, not least because of the beautiful illustrations by William Cooper, a long-time friend and new near neighbour of the author. If this came from any other authors I would be effusive about its thoroughness and attractive illustrations but it is, in fact, ‘merely’ a cut-down version of an even bigger and better original, the same couple’s magnificent Fruits of the Australian Tropical Rainforest (2004), which I mentioned in connection with wild bananas a couple of years ago. 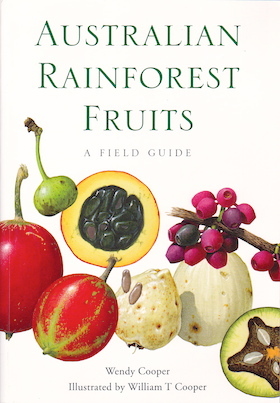 In the present volume, fruits are grouped by colour and each page of illustrations faces a page describing them and identifying the plants. It’s a ‘concise guide’ to 500 of ‘the more common and widespread’ of the 2430 species covered in its bigger brother. Very easy to use, and portable although not pocketable, it will be more than adequate for most of us. 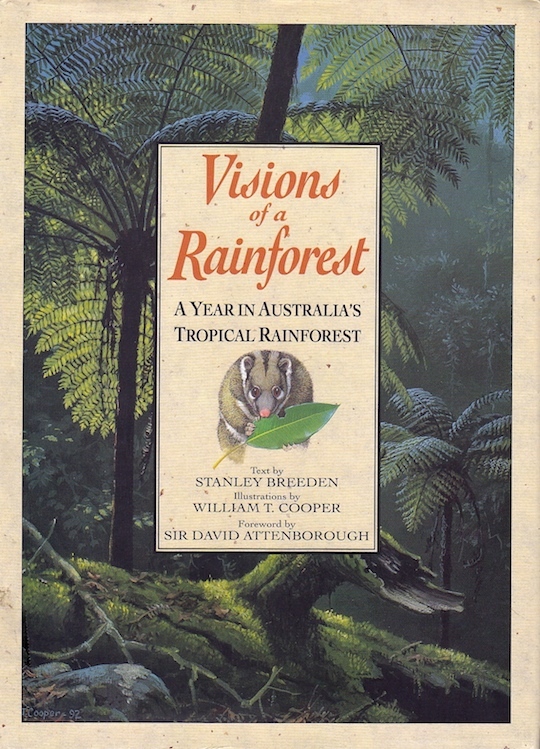 Visions of a Rainforest, a labour of love, has been beautifully and professionally published. Most of the rest of the books here are also labours of love but are self-published, with the quirks and occasional lapses which are frequent consequences of that process. Footloose Publications 2006, reprinted 2008 and 2011. 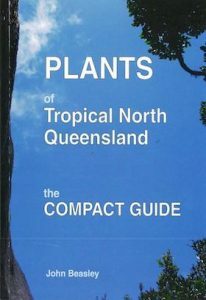 Beasley lives in Cairns and his book covers nearly 500 plants found from Cardwell to Cooktown and inland to Chillagoe, i.e. mostly the Wet Tropics, so the coverage of Townsville’s vegetation may have a few gaps. On the other hand, the more general guides published ‘down South’ deal so cursorily with the tropics that they are likely to have far more gaps, so this one is still worthwhile for Townsvilleans. 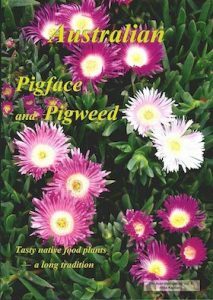 Plants can be identified in any of several ways: by browsing through the chapter devoted to the vegetation zones (Coastal Open Forest, Mangroves, etc), or through simple keys to flower colour, fruit colour, leaf shape, plants types or plant families. An ideal back-pack reference for a day in the bush. This magazine-sized publication looks primarily at Carpobrotus, Disphyma and Sarcozona, common succulents usually known unflatteringly as ‘pigface’ and ‘pigweed’ and often confused. These plants are a very important source of food and water for animals and insects – and even humans. They are common in sandy, saline or disturbed soils and are very often found in coastal areas. The book covers identification, usage and cultivation; it is specialised but recommendable. This book, first published under a slightly different name in 1991, belongs more to cultural studies than to botany since, although it contains chapters on propagation and cultivation, its focus is firmly on the Wattle as a national symbol. 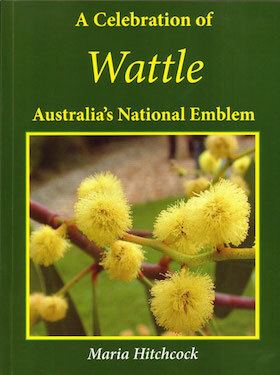 A history of the Wattle Day movement is accompanied by an anthology of Wattle poetry, stories and songs from Lawson onwards. It’s a worthy but strangely old-fashioned project: it looks like a new book but its contents wouldn’t have been out of place in a 1950s school library.